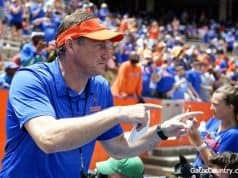 The Florida Gators recruiting efforts are back in full swing under new head coach Dan Mullen and several new assistant coaches. Prospects are now in the process of setting up official visits as coaches across the country travel to see them on a daily basis. Everyone has to remember that this is a process that will take some time to work itself as Mullen and his staff work out the new board. Gator Country’s members have a lot of questions about how the 2018 class will shake out and who are the top prospects that the Gators are still after. AS: I’ve heard the rumors but right now I haven’t heard anything to make me believe he’s coming to Florida to take that job. MrB-Gator: Andrew…….can you give us a summary of the Juco recruits on the board…..which positions? AS: WR Stephen Guidry, OL Noah Banks, DB Jeremy Bell, DL Noah Jefferson and DL Dorian Gerald are the main guys that Florida is recruiting now. They have a chance at Banks, Jefferson and Gerald and they’re working on getting Bell on campus this weekend. 90Gator: How does the linebacker board look from your perspective? We have one commit, how many more do you expect the Gators to sign? AS: The linebacker board is very slim and I mean very slim. 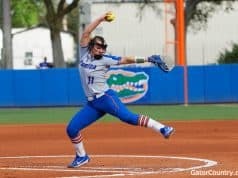 Outside of Reese, the Gators don’t really have leans at the position. They’re still recruiting Quay Walker who’s committed to Alabama and he will likely visit in January but Florida has work to do there. Mjhurstygator: Do you think we get back any of the suspended linebackers? AS: Ventrell Miller and James Houston both will likely get a chance to return to the team from what I’ve been told. Mikegator10: Does Jeremy Pruitt leaving to Tennessee help our chances with Eyabi Anoma? And when is he expected to visit campus? AS: Florida is working on getting Anoma on campus this weekend and Pruitt wasn’t his main recruiter so it doesn’t hurt much. Right now Alabama is the team to beat though. RVG: At what point are recruits no longer allowed to lobby other recruits to attend a school? Is it once they sign their offer letter or once they enroll? I really am interested in how Matt can keep communicating with recruits to try and get them in the class. AS: Corral can continue to work on guys even after he signs. Current players do the same thing, they work on prospects they want via text or social media. Just because they sign doesn’t mean they will stop working to get more guys in the class. Gator_nica: How much can you share on the Justin Fields recruitment, and where does he stand with UF and Dan Mullen? AS: Not much to share honestly. Florida and Fields are talking some and talking about a potential visit. Fields is listening as any recruit would do and he’s not signing until February so that gives Florida time to work him. Gatorrick22: How many quarterbacks are we taking this recruiting cycle? AS: Florida would like to have two quarterbacks in this class. Jmik131014: Can you provide a list of all commitments and targets that you expect to sign December 20? AS: This list could change but as of today here are the guys expecting to sign early that Florida is in play for. Gatorbone7: What coaches are on the road? Are any support members on the road since we’re down coaches? e.g. Drew Hughes, etc. AS: Mullen, JaJuan Seider, John Hevesy, Billy Gonzales, Tim Skipper, Todd Grantham, Brian Johnson and Brad Davis. No support members are on the road to my knowledge at this time. Chicagogator94: Andrew, I watch a lot of football and notice when I watched Alabama games they seem to have an extraordinarily amount of guys in khaki pants on their sidelines that appear to be staff or assistant coaches. Why do they have so many compared to us or most other teams? Who are they and what do they do? AS: They’re all recruiting guys, analyst guys (former coaches), graduate assistants and student assistants. Alabama has tons of help with former coaches on their staff and while they aren’t allowed to coach on the field they’re key in game planning and such. That’s one thing that Florida needs to improve on under Mullen because Nick Saban and others have taken advantage of the rule. 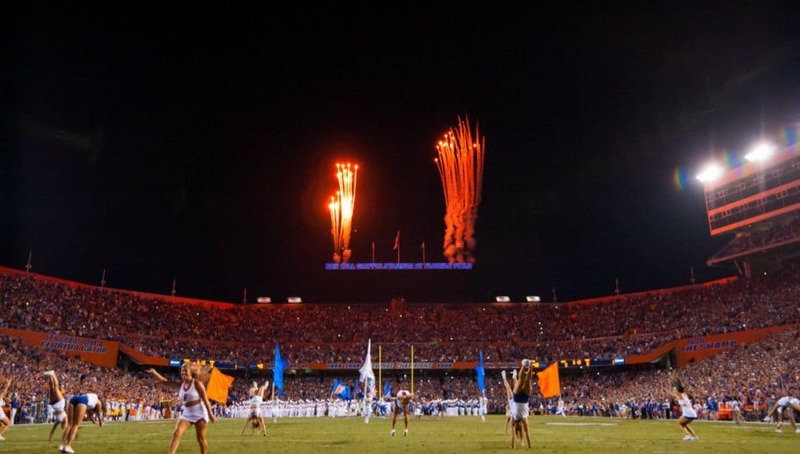 Kirkb919: Do you see any recruits committing to UF this weekend? AS: The biggest lean on campus this weekend is Trey Dean and he’s announcing after he leaves campus so that’s one less guy who will do it but I could still see someone popping for Florida this weekend. Kirkb919: Do we have a shot with any elite defensive tackles in this class? If so, who are they? AS: JUCO defensive tackle Noah Jefferson is the guy that looks to be leaning towards Florida the most at defensive tackle right now. Once a new defensive line coach gets on staff then the board should expand at that positon. Camtheman: Assuming Matt Corral does end up signing with us, is there anyone that’s not currently committed that you can see following him? AS: He’s friends with guys like William Barnes, Jacob Copeland and Nick Petit-Frere who are all big Florida targets. Corral has been recruiting heavy for Florida since he committed in July. Edwinvincent: What’s your take on Noah Jefferson, is he a take and do you think he signs with the Gators in December? AS: He doesn’t sign until February and he’s a take and someone Florida is pushing for big time. Jefferson also named Florida his leader on Tuesday so the Gators are in good shape heading into his official visit in January. Thumper: In your opinion, what is the reaction you sense from the recruits, parents, and high school coaches who are meeting Dan Mullen and his staff for the first time? Secondly, does the Florida NC rings help Dan’s recruiting a little or a lot? I’m seeing pictures everywhere from recruits with them. AS: The overall reaction has been nothing but positive from recruits and parents. Everyone has talked about how much energy and excitement Mullen and his staff have to be at Florida. That’s overall statement that many are telling me. With the rings, I mean it helps kids to see them but a prospect isn’t deciding over that. Now maybe that do some research on Mullen because of that and they look harder at Florida. Dfalco2: AS is The staff going after Trey Knox at all? He is dying to be a gator from what Zo tells us. Not hearing anything on him. Is he all OSU? AS: Knox is a 2019 guy and right now most of the focus has been on the 2018 class but I expect Mullen and company to recruit Knox hard. Knox fits Mullen’s offense and what he wants out of a receiver very well. AS: The process was supposed to be started soon but with it now going where the baseball stadium is at, they will wait until after the 2019 season to start with removing the baseball stadium and building the football facility. It wouldn’t surprise me to see Florida do some upgrades with the current locker room situation in the Swamp before then though. Gsacco: AS, couple receiver questions. Any chance with Stephen Guidry flipping? If he does flip, do you think he is a guy that could have an immediate impact? And are the Gators still after J’Marr Chase? I know I had read he had a good relationship with MC, think anyway he winds up back in the class? AS: Guidry likely goes to Mississippi State and Florida isn’t really pushing for Chase under Dan Mullen. Chase is leaning towards TCU at this time. OklahomaGator: Do you see any people signing on the 20th that are not early enrollees? AS: Yes, several guys are signing early but not enrolling until the summer. Kicker Evan McPherson and tight end Kyle Pitts are two guys in Florida’s class planning to do that. 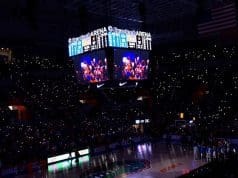 Gatorr4life: Do you think this is a top ten class when it’s all said and done? 20? AS: Yes, I think a top 10 class is still very likely. With several big targets out there leaning towards Florida, the Gators should rebound after losing that top 10 ranking following recent decommits.